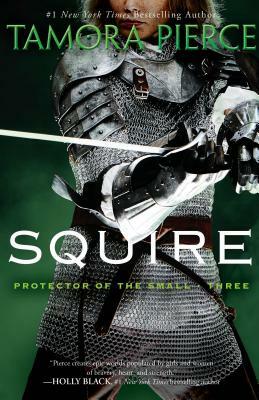 Keladry of Mindelan dreams of becoming squire to the famous female knight Alanna the Lioness, but she worries that she will not be selected by her hero—perhaps not by any knight master. When Kel is picked instead by the legendary Lord Raoul, the unexpected honor shocks her enemies across the realm. Kel must quickly prove herself up to the task, mastering her fighting and leadership skills while discovering what it takes to be part of the royal guard. A new romance is blossoming as well, bringing with it the rush of first love and the unexpected challenges of balancing knight work and a relationship. All the while, Kel prepares for her biggest fear: the infamous “Ordeal,” the last challenge that stands between her and knighthood.